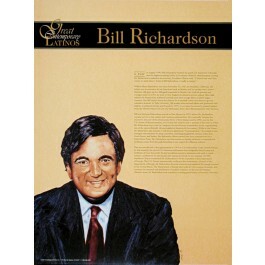 This poster of politician and diplomat Bill Richardson features an artist's illustration of Mr. Richardson, along with biographical text illuminating his life and career. 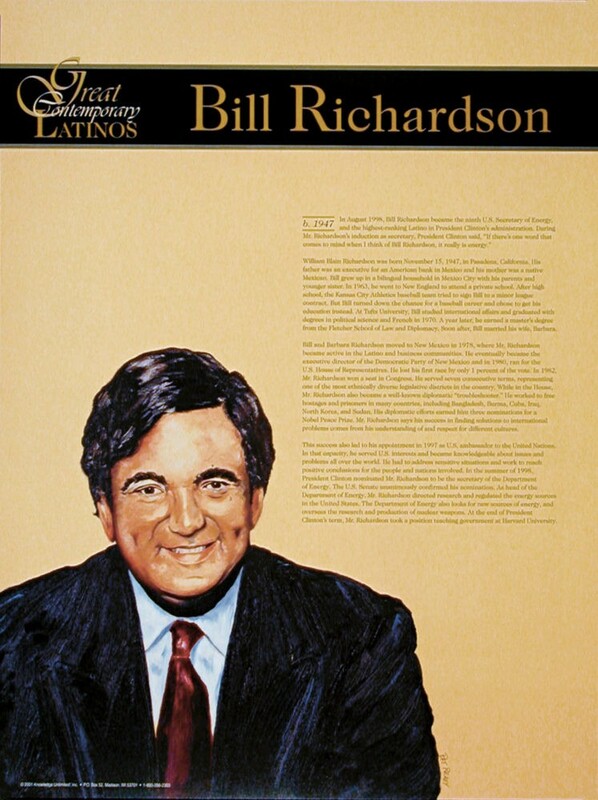 Mr. Richardson, who is of Mexican heritage, grew up in a bilingual household. He became Secretary of Energy in the Clinton administration, and later served as the U.S. ambassador to the U.N., and governor of New Mexico.